“I have lived an American life not unlike many others. I was raised in the suburbs by loving parents. I was a good, but not exceptional, student. I played sports and had friends and did the sometimes-smart, but oftentimes-foolish things that teenagers do. I went to college. I got a job. I got a better job. I changed careers. I fell in love. I got married. My wife and I had children. We are raising them the best we can, and not unlike the way we were raised. Life is good. So begins the prologue of Andrew McNabb’s memoir, 8 Days, his recounting of the ecstatic mystical religious experiences that took place in his life over an eight day period in 2011. With literary attention, this career short-story writer, husband, and father of four details how he was swept up into a place “not quite here” and “not quite there,” a place in which he experienced both the ethereal and the terrifying, the awe-inspiring and the confounding. 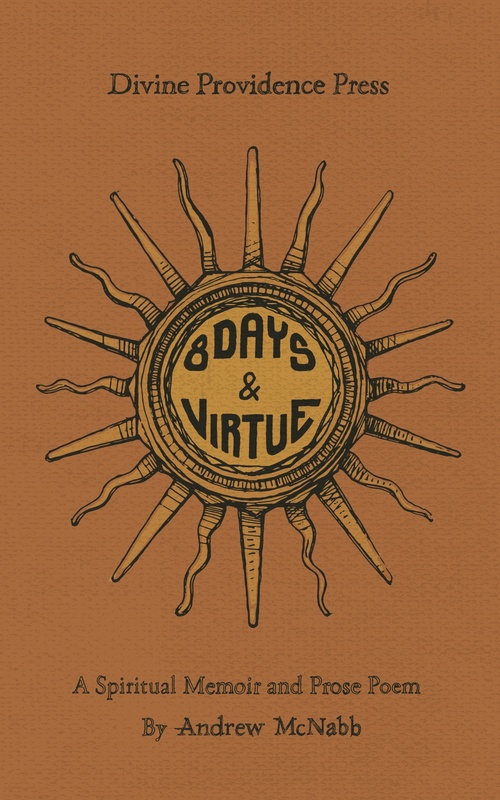 “Over these eight days,” he writes, “in addition to direct ecstatic union with the individual members of the Blessed Trinity, I was given key spiritual insights and illuminations, and was witness to awe-inspiring divine manipulations of both nature and humanity . . . [but] perhaps most disturbingly, in addition to all the good, I was also given an awareness of the real presence of evil—and even interaction with it.” McNabb’s experiences are often thought to be the exclusive domain of medieval saints. While the author admits he is far from saintly, his account provides crucial insight into--and perhaps even an answer to--the most important question ever asked: Does God exist? 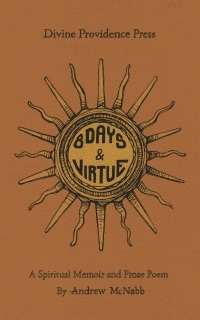 In September of 2014, Divine Providence Press will publish, under one cover, both 8 Days and Virtue, Andrew McNabb’s book-length prose poem, or “mystical prayer.” These two works are inextricably linked; as McNabb details in 8 Days, it was at the very moment he typed the period that would end Virtue that his odyssey emphatically began. Andrew McNabb grew up in Massachusetts, and is a graduate of the University of Massachusetts at Amherst and New York University. He is the author of The Body of This, a critically acclaimed short-story collection. He lives in Portland, Maine.